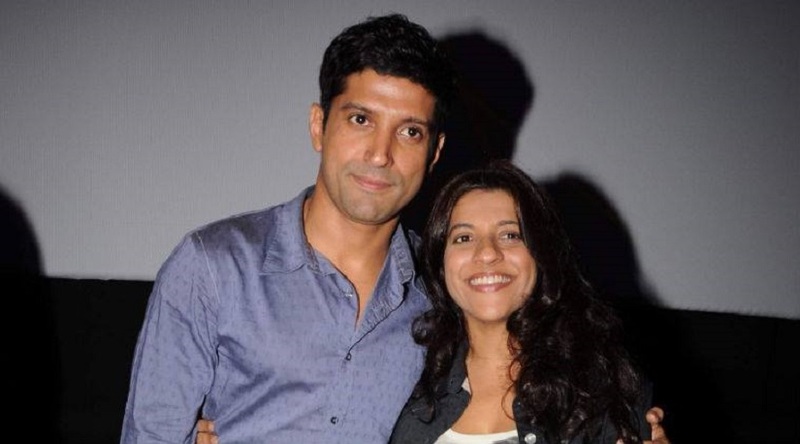 Zoya Akhtar and Farhan Akhtar’s dream of making a contemporary remake of Chetan Anand’s 1970 Bollywood classic Heer Ranjha has come to a halt for the time being, as Chetan’s son Ketan Anand has reportedly refused to sell the copyrights of the film to the Akhtar siblings. Zoya Akhtar and Farhan Akhtar. File image. The rights of Chetan’s directorial venture were with Ketan after his father’s death, and Ketan reportedly does not want to part with them. He reportedly quoted a price of Rs 10 crore to sell the copyrights to the Akhtars. “They (Zoya and Farhan) didn’t request me personally. But people from Excel Entertainment, their company, got in touch with me. They approached me about five months ago. There was no personal communication with Farhan, Zoya, or Javed Akhtar. I turned them down right away. I asked them for a really high price. I won’t tell you how much, but I did it purposely because I knew they will not agree to it. Tell me something, if I have a Mona Lisa, why would I sell it for anything less? I’m not going to sell it at their price so that they can earn their ‘100 crores’. Kaifi Azmi was my father’s best friend and I have put a price on his work so they should feel happy about it. He deserves the price I’ve quoted. Why should I give in to them, just because they want to earn money out of something he did?” said Ketan confirming the news, according to a DNA report. Zoya apparently wanted to make the film as a tribute to the renowned poet Kaifi Azmi, (Zoya’s step-mother Shabana Azmi’s father). Many original verses in Heer Ranjha were written by Kaifi. According to the same DNA report, Ketan is also toying with the idea of remaking his father’s work and that is the main reason why he did not sell the rights of the film to the Akhtar sibling duo.